Competitive gaming company Gfinity and cinema chain Vue have signed a deal to create the UK’s first dedicated eSports arena. The 600 capacity venue – the Gfinity Arena – will be housed at Vue’s Fulham Broadway multiplex in London. It’ll have its own entrance, ticketing hall, ticket machines and confectionary stall along with a player lounge for up to 50 gamers. 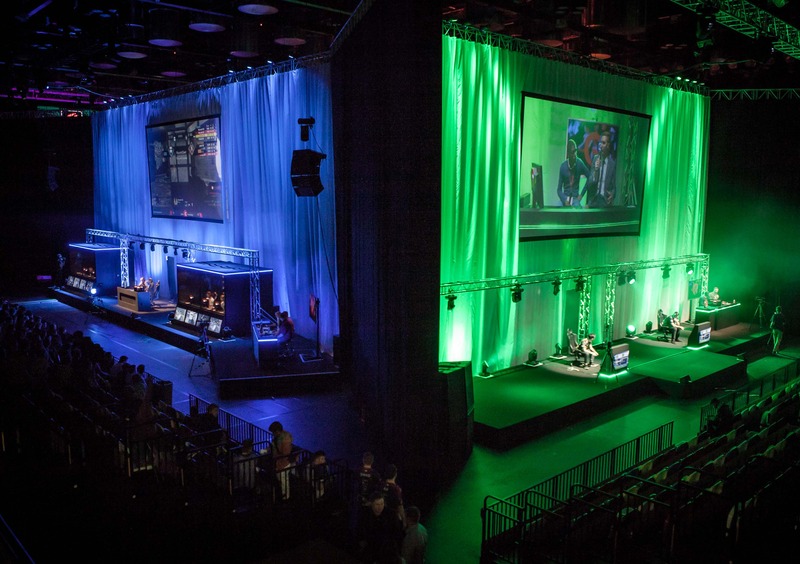 The new space is scheduled to open in March, in time for the start of the 2015 Gfinity Championships and will host events every weekend and on selected weekday evenings. It’ll play host to competitive players of games like Call of Duty, League of Legends and Starcraft II. While this is the UK’s first dedicated eSports arena, huge venues are dedicated to competitive gaming in Asia, and in the US, a 15,000 square foot venue is set to launch this year. For an example of how lucrative eSports can be, consider last year’s DotA II championships which offered a $10 million prize pot. Ahead of the venue’s launch, Gfinity is organising Activision’s Call of Duty: Advanced Warfare European Championships at the Royal Opera House from 28 February to 1 March.